Are you a Faculty of Business Administration student or a graduate and have recently accomplished a success at school or outside of it? Thanks to a new project „FPH Success“ you may now share your story with your former as well as current classmates. It can be an accomplishment in the area of sport, academic world or business. It does not matter. We just want to hear your story! 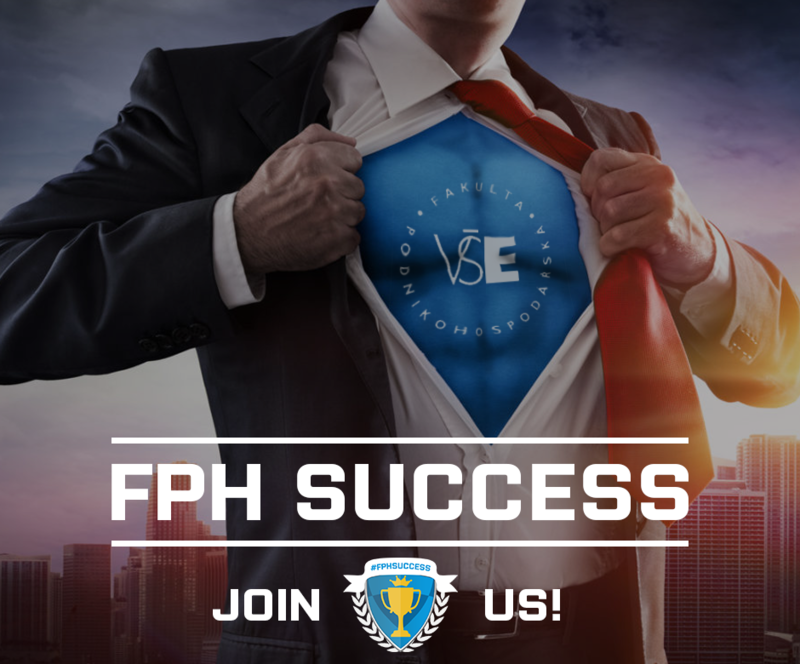 Send a short summary of your success to the prfph@vse.cz, attach a photo if available, and we will take care of rest of it, including sharing your story on the faculty’s website, Facebook and Instagram.